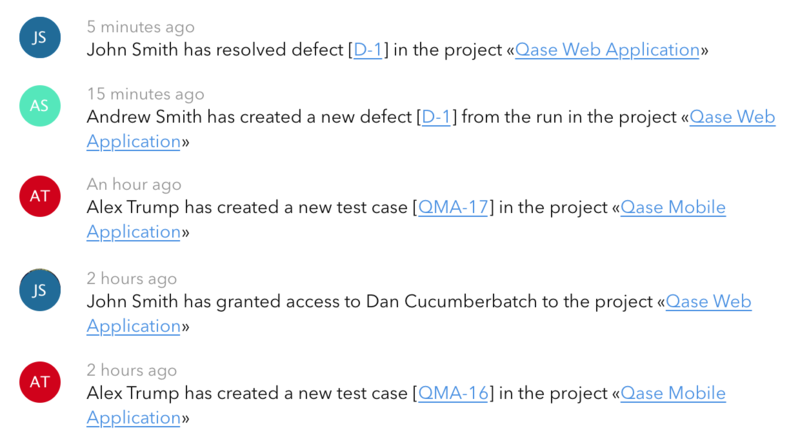 Qase makes it easy to manage test cases, compose test plans and perform test runs as an individual or in a team. Test suites can help you to organize all your test cases into logical groups. Сomprehensive features of test cases allow you to define test case severity, priority; describe pre-conditions, post-conditions, and steps to reproduce test case. Store and manage all your suites and test cases in one place. Define severity, priority and other params. Compose various test plans from existing test cases and suites and run them with your team. Invite members to your team and work with your test model together. Built-in integrations with the most popular bug tracking systems and services like JIRA, Trello, GitHub and many others. Take control over defect lifecycle (from creation till termination) and retrieve detailed statistics. Use REST API to integrate your automated tests and send test results to Qase. Qase.io is running in open beta test mode and is absolutely free for everyone.